aka "Bo" or "Bobo", born November 3, 1953, to Nancy Rentacoten Bala & Guillermo Duque, died Sunday, August 26, 2018 at home. 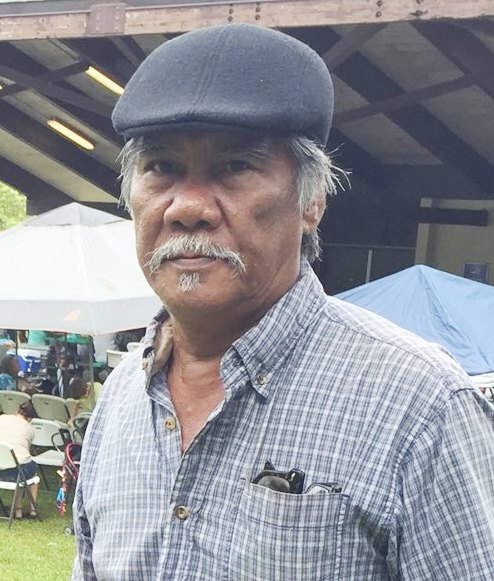 He is survived by his 5 children: Chester M Duque, Jr., Carolanne M Duque, Clint M Duque, Cherylanne M Seipel and Jesse K Duque; 7 grandchildren ; 1 great grandchild; sister, Cynthia Duque-Dudley, and brother, Christopher Bala Duque. Viewing at Oahu Mortuary Friday, September 14 from 9:00-11:00 a.m. Celebration of Life: 1:00 p.m. Sunday 9/16 @ Nanakuli Beach Park.